The creature had charcoal fur tinged with silver and grey highlights, bright yellow inquisitive eyes glowing among its dark coat, individually controlled ears that stood tall on top of its head; straining to hear every sound, enormous paws, equipped with jet-black nails, attached to impossibly long legs, and a bushy tail held straight-out behind it. It’s powerful nose was raised slightly, trying to catch my scent on the cool morning breeze. Unsure what to expect or how the beast would react to my presence I cautiously reached out my hand, exposing a small piece of dehydrated rabbit meat. Having recognized the scent of deceased bunny, the critter approached me revealing a mouth filled with teeth perfectly suited for eviscerating meat from bone. Concerned that my fingers were still clutching the meat currently being eyeballed eagerly, and wanting to leave with the ten digits I arrived with, I immediately second-guessed my decision, but before I knew it the treat had been dispatched from my hand in the most gentle way imaginable; even more gentle than the German Shepherd I share my home with. This, however, was not a domestic dog, but a wolf, more specifically a high-content wolfdog named Kaida, who having consumed the treat was now enthusiastically approaching me in search of another. I never thought I’d be hand-feeding a living, breathing wolf, but such is life at the Yamnuska Wolfdog Sanctuary. 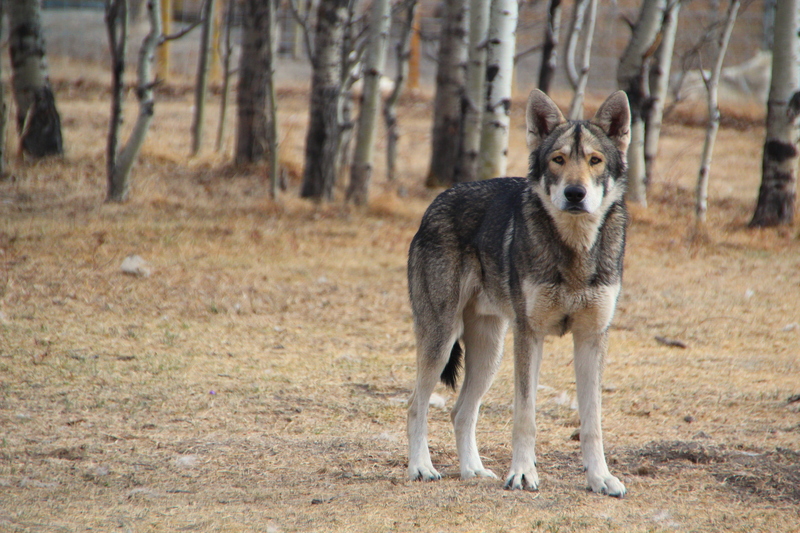 The Yamnuska Wolfdog Sanctuary (YWS), founded in 2011 by Georgina De Caigny, is a refuge for abandoned or stray wolfdogs; ultimately saving them from the alternative, which is almost always euthanasia. According to Alberta law, any dog that ends up in a shelter and is reported as a wolfdog cannot be adopted and must be destroyed. As sad as this is the system around which the law was created is flawed. Many breeders misrepresent the animals they are selling in order to fetch a higher price. 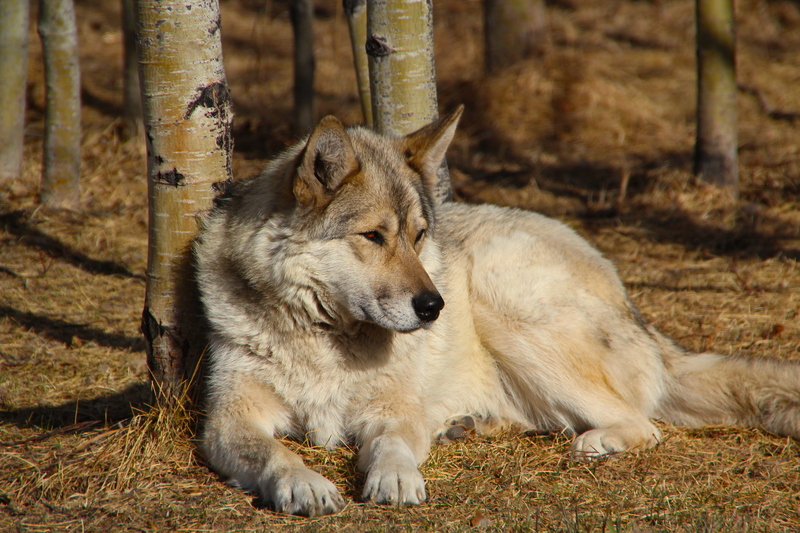 As soon as you attach the label ‘wolfdog’ to an animal the cost of purchase increases. In a high percentage of cases the animals being sold are considered low-to-mid content wolfdogs and many don’t contain any wolf blood at all. All of this leads to more animals being put-down than is necessary based solely on being misrepresented from the start. Another common misconception is that you can attach a percentage to each animal. 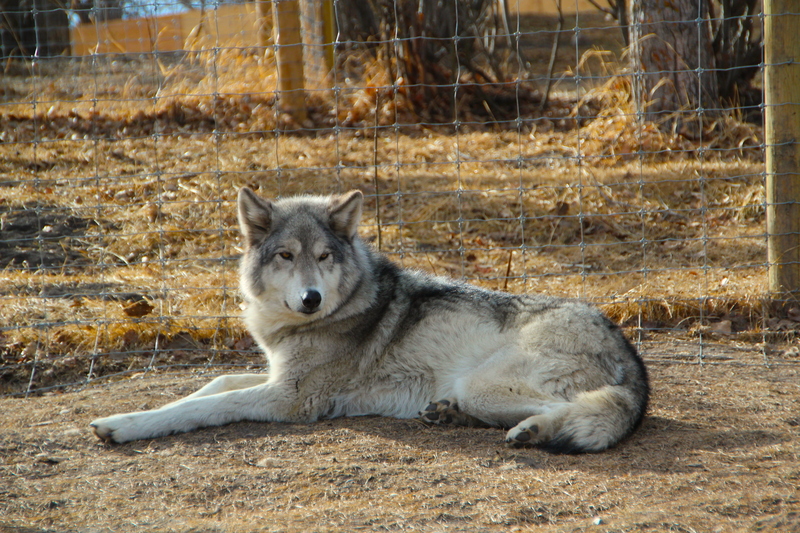 Many owners and breeders will state that they have a wolfdog that contains 75% wolf, for example. Unfortunately this is just plain false as genetics don’t work that way. There is no genetic test that can determine the percentage of wolf or dog DNA within a wolfdog. As a result the staff at YWS classify their animals as low, mid, or high-content based on physical appearance, behavioural characteristics, mannerisms, and other observable traits, including how they interact with humans. In this way high-content wolfdogs would look and act more wolf-like than a low-content wolfdog, which would be more dog-like on the spectrum. 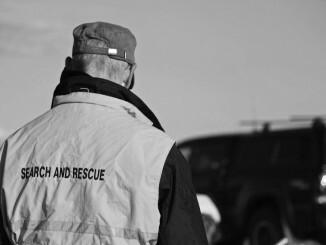 The sanctuary is located in the foothills of the Rocky Mountains approximately 50km northwest of downtown Calgary and just west of the town of Cochrane. I arrived early on a Saturday morning, excited for my guided tour. A very large Malamute cheerfully greeted me as I entered the main office and after meeting several of the staff and signing the required waiver I walked into the sanctuary. Rango, a six-month-old high-content coydog (a mix of coyote and domestic dog), excitedly ran up to his fence to greet me. I’m told that he really enjoys human interaction and I was able to pet him through the fence of his enclosure. Due to his curious nature I had to be careful because he would steal anything not tied down! I had some time to kill before the guided tour began so I wandered from one enclosure to the next viewing the wolfdogs. I was surprised at the variety in appearance and their reaction to my presence. Some looked more like domestic dogs than wolves, while others were dopplegängers of their wild cousins. Some eagerly approached the fence when I arrived, others disappeared into the depths of their enclosure, and others still were completely indifferent to my presence; dozing lazily in the sun. 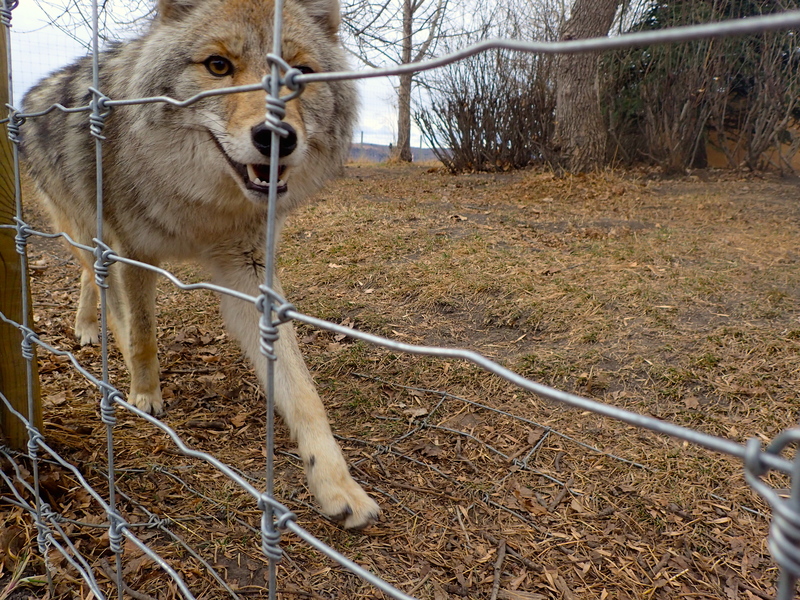 The time had finally come for us to enter one of the enclosures so we could interact with the wolfdogs. After a quick safety briefing, which included additional reminders not to leave personal items unattended, our guide Forrest unlatched the gate and we all stepped in. 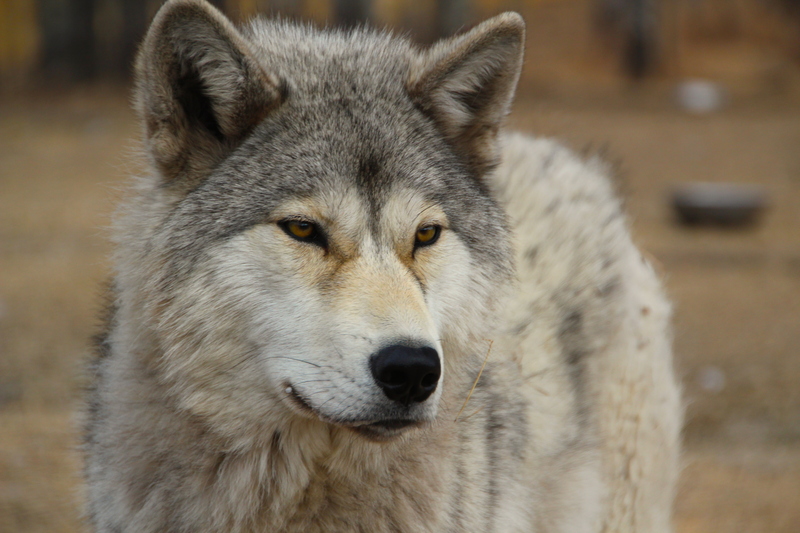 We would be meeting the high-content wolfdogs first and any fears we initially had were erased when the wolfdogs scattered throughout the enclosure as we entered. 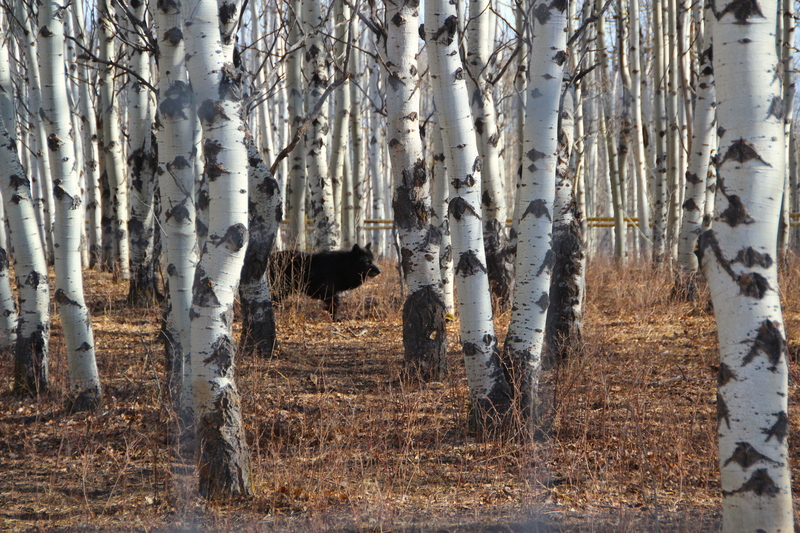 Forrest told us that wild wolves are naturally wary of humans and will try to avoid us if possible. These wolfdogs reacted much the same way as wild wolves would; disappearing into the far reaches of their enclosure in order to observe us from a distance. Of the four animals in the enclosure only two would eventually approach us to nibble on the handful of treats that Forrest provided. The other two would only come close enough for us to toss treats in their direction, using their powerful sense of smell to locate the morsels in the grass. Even though two of them felt comfortable enough to eat from our hands the slightest unexpected movement would cause them to run from us. Even Forrest, who they are familiar with, caused them to flee when he stood to handout more treats. There was a stark contrast in behaviour when we entered the low-content wolfdog enclosure. Here the wolfdogs were eagerly looking at our hands anticipating the possibility of treats, whereas the high-content wolfdogs were constantly looking at our faces. The majority were much more tolerant of our presence; hounding us for treats and back scratches. They were more aggressive taking the treats from our hands, much like an excited domestic dog would be. 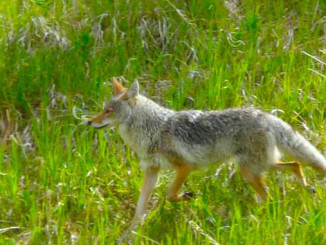 Their physical appearance was more dog-like than the high-content wolfdogs; some even resembled dogs that’d you see at an off-leash park in Calgary. One was even wearing a collar! Their was an air of excitement and rambunctiousness that the high-content wolfdogs did not possess. The low and mid-content wolfdogs are available for adoption through YWS, but it’s very important to understand what you’re getting into. 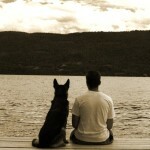 They don’t make great pets and can be infinitely more challenging than a domestic dog. In fact De Caigny often tells potential adopters that the wolfdogs are actually more like cats because they only do what they want to do when they want to do it! They require continual work, specially-designed enclosures to prevent digging or jumping out, and restricted diets. Since most people aren’t willing to undergo such a challenging task the role of the sanctuary becomes even more meaningful, especially when you consider the alternative for many of its residents. The thought of having a pet that is part wolf sounds pretty cool to many people, but the reality is they are difficult animals to have as pets and many people give them up because they can’t handle the challenge. 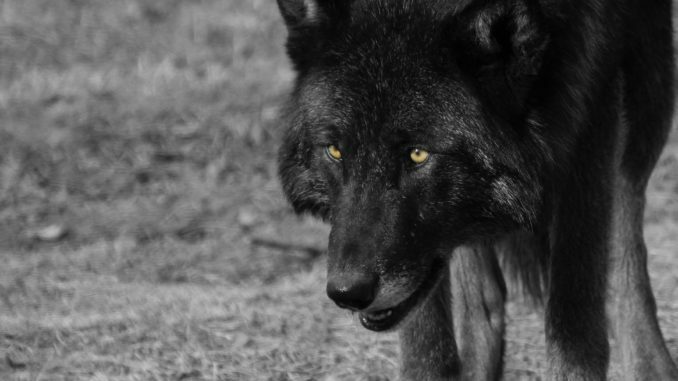 Wolves have long been one of the most polarizing creatures in the world. 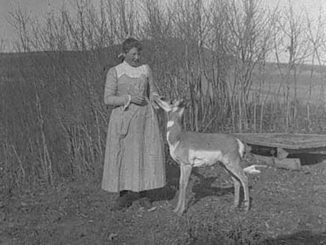 Almost hunted to extinction across North America, they were eventually placed on the endangered species list and have since made a steady recovery, but only inhabit a fraction of their former range. 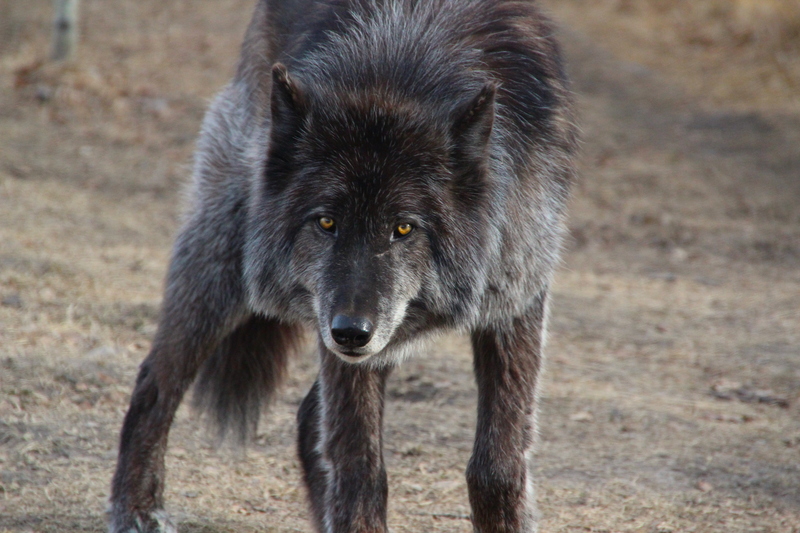 The problem could be rooted in misinformation and preconceived notions about wolves that are not based on fact. 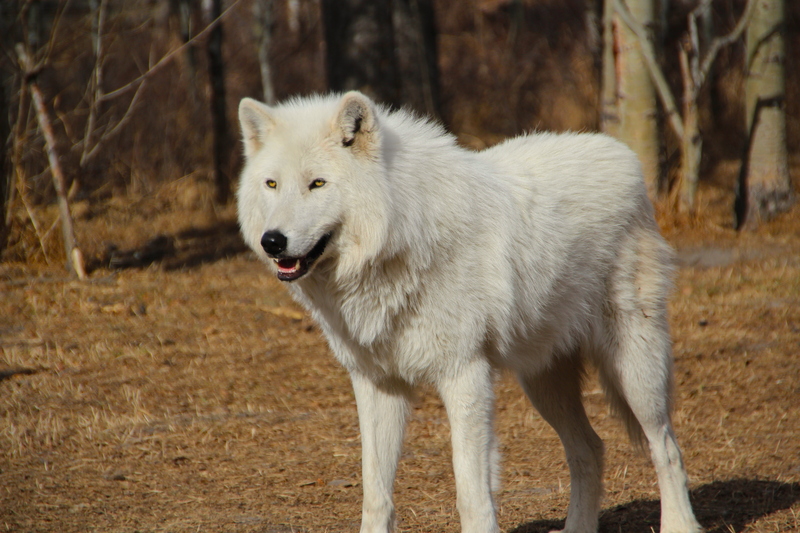 Much like the Northern Lights Wildlife Wolf Centre in Golden, BC, the Yamnuska Wolfdog Sanctuary aims to educate visitors about their misunderstood residents with the hope of creating a better relationship between wolf and man. I am happy to report that I left the sanctuary with all of my appendages securely intact! But I also left with newfound respect for these misjudged animals and the people caring for them. If they were bloodthirsty, mindless killers I would have been shredded the moment I stepped foot into their enclosure, but instead I found cautious animals that appeared to be more afraid of me than I was of them. YWS is a wonderful place to learn more about wolves and wolfdogs and hopefully put to rest some of the misguided and fictitious information that’s out there. At the end of the day it doesn’t really matter where the dog ends and the wild begins, just that they deserve your respect no matter what. For additional information or to book a guided tour of your own please visit the YWS website. You can also connect with YWS on Facebook, Twitter, and Instagram. Finally, you can read my previous story, Walking With Wolves, that highlights my experience at the Northern Lights Wildlife Wolf Centre.